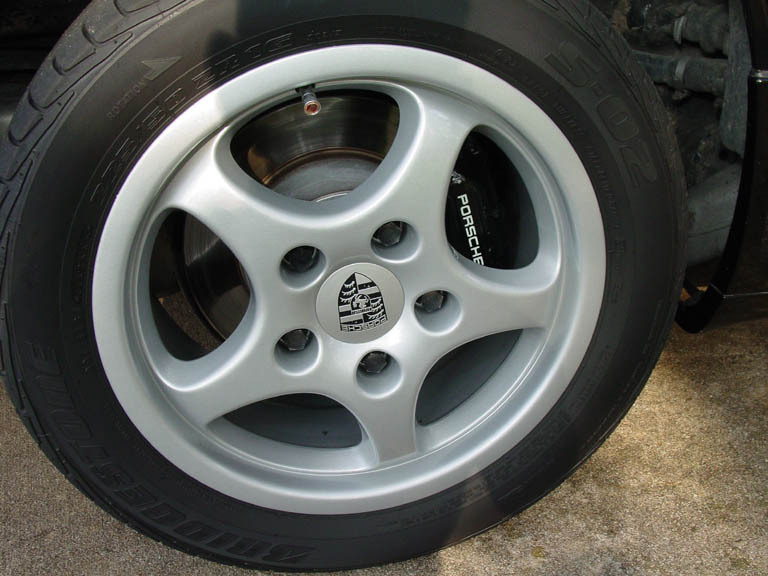 For Sale: OEM 16" 5 spoke wheels. 8jx16 ET52 and 6jx16 ET52. Tires are Bridgestone S-02's. 205 55 ZR16 and 225 50 ZR16. Tires have more than 50% tread left - about 5k miles on them. Center caps not included. $750 + actual shipping from Austin, TX. Local pickup would be even better. PMed you about a 2ndary bypass. 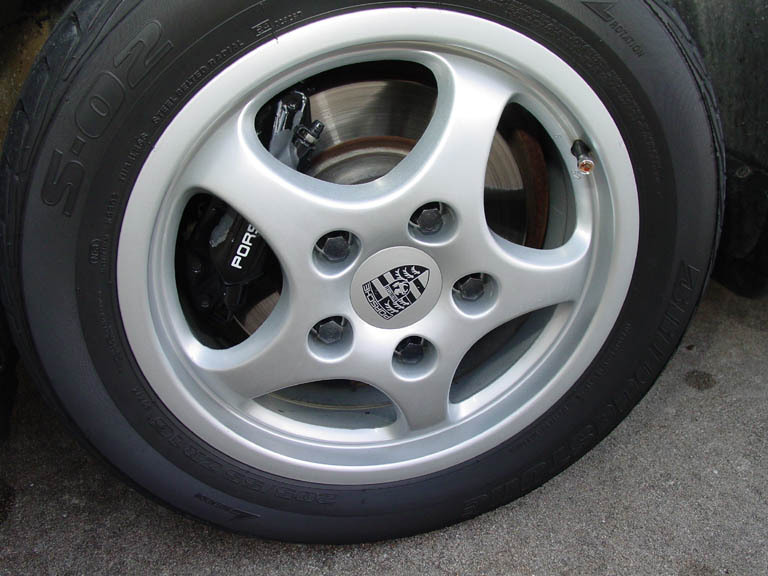 Full set of 16" wheels from 1993 Carrera 2 w/ almost new Pontenza RE750 tires. Tires are about 85-90 percent. 3 of the wheels are in absolutely great shape. The 4th has a curb mark (pictured), and light scrapes around the lip. and a harness bar as well. Wanted Cat Bypass. PM me if you have one you want to sell. Thanks. Ritchie. Mine has siezed.. How much do you want for your extra?? let me know. thanks, I've got no heat or defrost. 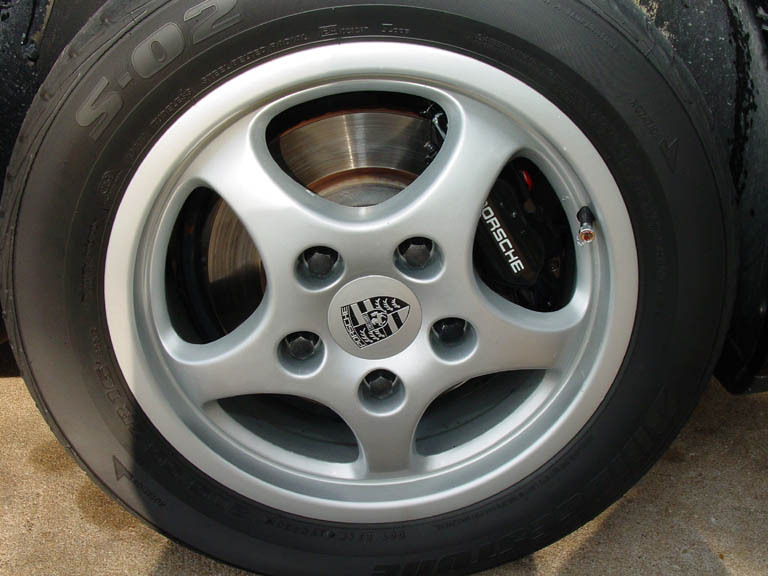 Does anyone have a really inexpensive set of silver D90 wheels? We have a nice set of Chrome D90s with center caps that we were going to paint black and use as track wheels, but it seems a shame to paint them. Would consider trading the Chrome ones if shipping is not too much. I have the blower off my 91-c2. Let me know if you want it. I have a set of original 16" D90's with all season tires. A few rims scuff but over all not bad. I can post pictures and get tire specs if you want. MYTURBO36, please update your profile so people can send you PMs! I may have what you need, please clarify as to the part, do you actually mean the factory springplates (gold irridium plated, with castor/camber adjustments)?? If so, I have a spare set. Removed after stock rod bearing failed Replaced with new cooler. The old cooler should not be installed without thorough cleaning. I believe ultrasonic cleaning and flushing is typically used, but I don't know the particluars. Location: Just North of "Big D"
Buyer pays shipping. PM for info. Thanks! Last edited by JW in Texas; 02-07-2008 at 09:43 AM. Visit JW in Texas's homepage!